Come see this One Owner 2011 Chevrolet Equinox 1LT. Its Automatic transmission and Gas 4-Cyl 2.4L/145 engine will keep you going. 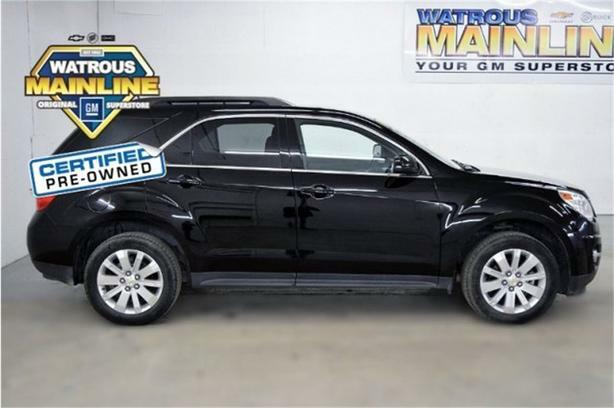 This Chevrolet Equinox features the following options: 18 machined aluminum wheels, 6 speed electronic automatic transmission, 2.4L DOHC Engine, and AM/FM STEREO WITH CD-ROM AND MP3 PLAYBACK. See it for yourself at Watrous Mainline Motor Products Ltd, 208 1st Avenue East Box 70, Watrous, SK S0K 4T0.